One of the greatest joys of going to the movies is the surprises. It's a common theme here at From the Front Row, and one of my chief goals as a critic, to shine a spotlight on films that may otherwise go unnoticed. So when a film comes along like Bahman Ghobadi's wholly remarkable No One Knows About Persian Cats that does just that, it's cause for celebration. Using the power of cinema to illuminate the heretofore hidden underground music scene in Iran, Ghobadi paints an unforgettable portrait of art struggling to survive against all odds. Our guides through this world are two struggling musicians, Negar (Negar Shaghaghi) and Ashkan (Ashkan Koshanejad), who have just been released from prison, and are looking to form an indie rock band. 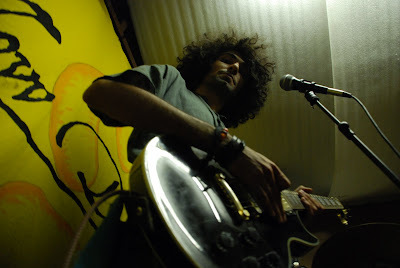 Since most Western forms of music are banned in Iran, and females are forbidden from singing at all, Negar and Ashkan must go underground to find Iran's best musicians, who continue to make the music they love despite the Iranian government's strict policies. It is a search that will lead them to some of Iran's greatest undiscovered talents, playing to an audience that is breaking the law just by listening. Yet they continue to play, and to sing, for the love of music itself. The real crime, however, is that these musicians have not been heard outside of Iran until now. 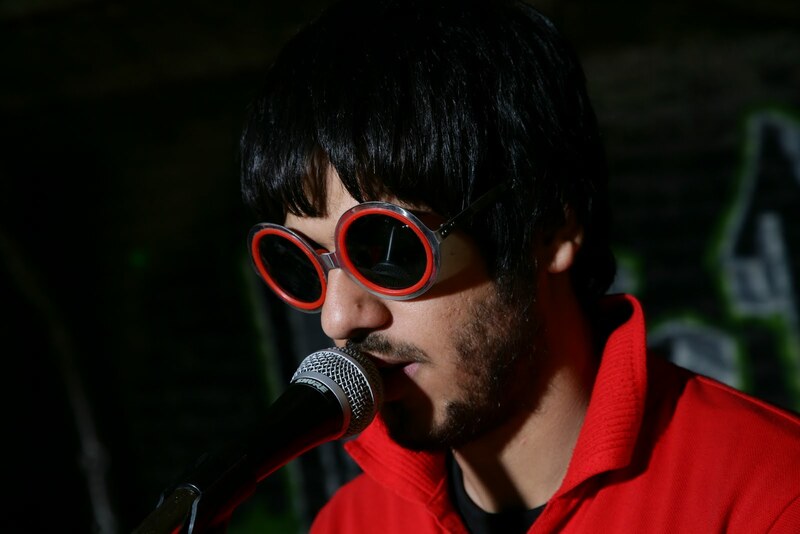 Ghobadi populates the film with actual underground Iranian musicians, who perform everything from indie rock to rap, throwing the curtain back on a vibrant and talented music scene that is being systematically suppressed by the ruling regime. It's hard not to look at the film and not see certain similarities to John Carney's Once in its free flowing look at two musicians whose relationship is defined by music. But here the stakes are higher and there is a real danger inherent in what they're doing. Ghobadi never shies away from what is at stake here, even while celebrating these unheralded talents. In that regard, it's as much a documentary as it is a narrative film. It's not a documentary, but it might as well be. Its narrative is built around the music, and the music is the star. And what glorious music it is. No One Knows About Persian Cats has its finger square on the pulse of a talented and restless generation of young Iranians crying out to be heard at all costs, refusing to be silenced. It is as much the story of the youth of Iran as it is about music, the more modern, liberal generation that rose up and exerted their existence and power in the controversial election of 2009. This film is their voice; the music, their soul. It is clear that Ghobadi is aware of that, and he takes the responsibility seriously. This is fearless, revolutionary filmmaking, whose very existence is an act of open defiance. As its trailer proclaims, it shouldn't even exist. But it does. It demands, no, deserves to be seen. Ghobadi's lyrical evocation of the music, with its hopeful glimpse of an Iran that could be, even with a sobering reminder that it isn't, is simply extraordinary. While it could be written off as a series of well produced music videos, the film is always consistently compelling, and adds up to more than a satisfying whole. Each new song illuminates a new genre and a new dimension to an Iran that the world has never had a chance to see, and this rare glimpse into a world that, on paper, shouldn't even exist, is a thrilling experience. No One Knows About Persian Cats is a bracing and vibrant film, one teeming with life and the overwhelming, sustaining power of artistic expression. It is a rare and unique window into another world that has gone unseen for far too long, but hopefully now thanks to Ghobadi, the world will never forget these Persian cats ever again. 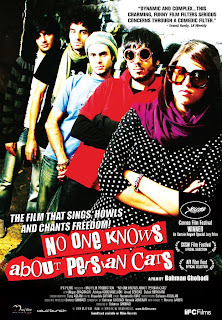 NO ONE KNOWS ABOUT PERSIAN CATS; Directed by Bahman Ghobadi; Stars Negar Shaghaghi, Ashkan Koshanejad, Hamed Behdad; Not rated; In Persian w/English subtitles. Now showing in select cities and via IFC On Demand.